Everyone has their secrets. Whether you want to shield your Christmas present list from the prying eyes of nosy children, or merely keep your tax records hidden, limiting access to your digital data is understandable, and with a few steps, perfectly viable. In this guide, we’ll teach you how to password protect a folder, whether you’re running Windows or MacOS. The only difficulty is that neither of these operating systems makes it as easy as it could be. Native password protection is something that remains elusive in most standard builds, but with the right know-how, that’s not a problem. Whether you end up using third-party recommendations or a built-in utility, here’s how to protect your folders from prying eyes. Note: If you ever need help remembering passwords, consider one of the best password managers. If you’re running Windows 10 Pro, there is a built-in protection system, though it’s not the most fully featured. 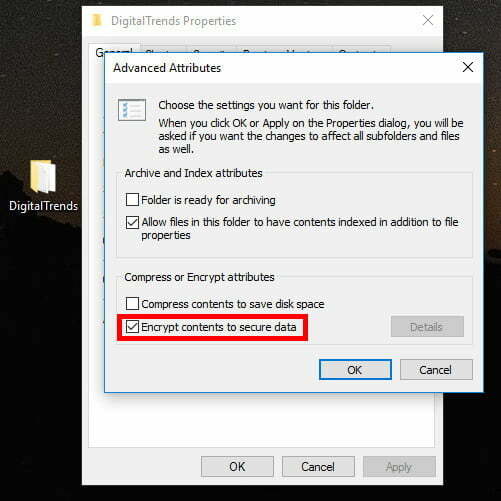 Windows 10 Pro’s basic encryption offers file obfuscation that locks a file to your account. That way, if someone on another account or someone who copied your files away to another PC, tried to access your content, they’d need to know your account password — which better not be one of the most common passwords. Anyone using your PC and account would still have access, however. Step 1: Right-click on your chosen file and select Properties from the drop-down menu. Step 3: Tick the box next to Encrypt contents to secure data and click OK. Step 4: Click Apply and when prompted, choose whether you want all folders within that directory to be encrypted, or merely the top-level one. When you’ve decided, click OK. Depending on the size and contents of the folder, it may take a while to complete, but once it’s done, your data will be encrypted and protected from the prying eyes of anyone on another account or system. You can tell that it’s worked by the little padlock symbols now on each file within. Your files are now password protected by your account. While Windows 10 Pro might have some protections, most versions of Windows are utterly devoid of any folder-specific security. For most Windows users, adding a password to a folder requires a third-party archiving utility or some form of compression software. Options include 7-Zip, an open-source zip compression utility that’s readily available for free courtesy of Russian developer Igor Pavlov. It does a great job of password-protecting your more important data. You’ll be required to decompress the folder before use, but that’s a small price to pay for security. Step 1: Navigate to the 7-Zip download page and select the right download for you. Most users should opt for the 64-bit x64 Windows build. Once downloaded, install it as you would any other software and run it. Step 2: Locate the folder you wish to password protect within the main 7-Zip interface and click the green addition sign in the upper-left corner of the application. Alternatively, drag and drop the folder anywhere within the main 7-Zip interface. 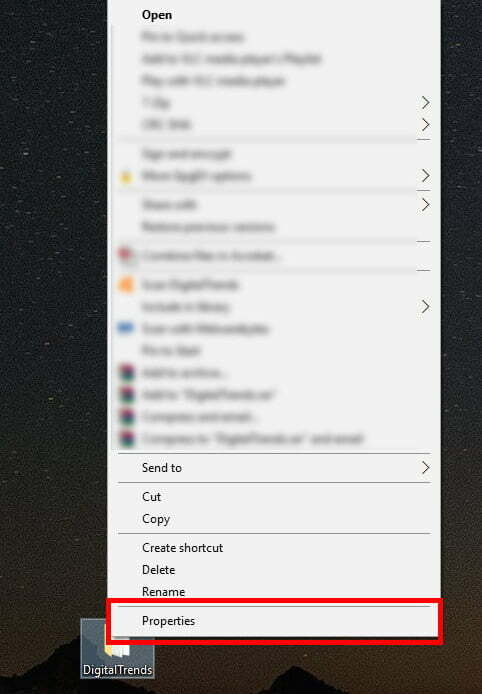 Step 3: Ignoring the bulk of presets in the resulting pop-up window, select zip from the drop-down menu directly beside the Archive Format option to ensure the folder remains compatible on computers without 7-Zip installed. Then, enter and re-enter your desired password for the folder in the text fields located on the right-hand side of the window. Click the OK button when finished and allow the utility to create a compressed, encrypted duplicate of the folder you wish to password protect. Step 4: Once the password-protected zip file has been created, test it to make sure that it’s working correctly by trying to access any of the content held within. Once you know it’s properly protected, delete the original folder so it can no longer be accessed. There’s no need to have two instances of the same data, especially since the original folder will remain unprotected. Like most versions of Windows, Apple’s MacOS lacks the native ability to add password protection to folders, but what you lose in convenience, you definitely gain in security — just don’t forget an antivirus. Adding a rudimentary password will require you to create an encrypted disk image through the operating system’s native “Disk Utility” — an application that comes pre-installed on nearly all Mac devices. Once created, you’ll be able to access the folder as a mounted virtual disk, which will allow you to edit, add, and delete content after entering a designated password. Any changes you make while the disk is mounted will automatically become both encrypted and password-protected upon dragging the disk to the Trash. Step 1: Navigate to the MacOS Disk Utility within the Applications folder, or search for the application using Spotlight. When found, launch the program. Step 2: Click File in the application toolbar, select New from the resulting drop-down menu, followed by Disk Image from Folder. 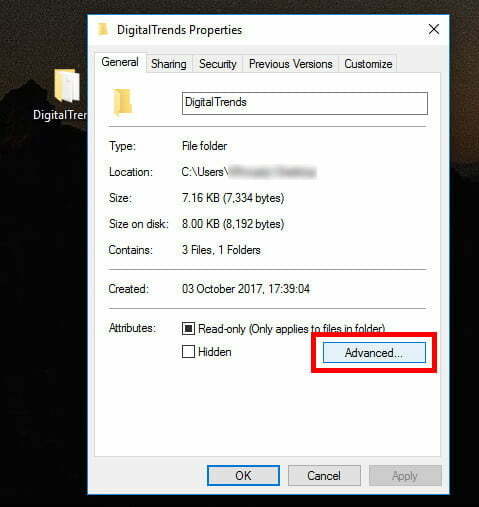 Then, locate the folder you wish to password protect by perusing the resulting folder, highlighting it, and clicking the Image button in the bottom-right corner of the window. Alternatively, search for the folder using the search bar in the upper-right corner and click the Image button in the bottom-right corner of the window. Step 3: Once you’ve tagged and named the resulting files, select read/write from the drop-down menu directly right of the “Image Format” option, followed by 128-bit AES encryption“ from the drop-down menu directly right of the Encryption option. Afterward, choose your desired save location and click the Save button in the bottom-right corner when finished. Step 4: When prompted, enter and re-enter your desired password in the text fields in the middle of the pop-up window. Afterward, uncheck the box directly left of Remember password in my keychain and click the “OK” button in the bottom-right of the window. Step 5: Once the password-protected disk image has been created, make sure it works as intended by trying to access its content. Once it’s confirmed to be protected as intended, delete the original folder so it can no longer be accessed.